What do smart communities mean to you? For GIS professionals working in government, it’s a well-known concept that is transforming the dialogue about geospatial technology within their organizations. 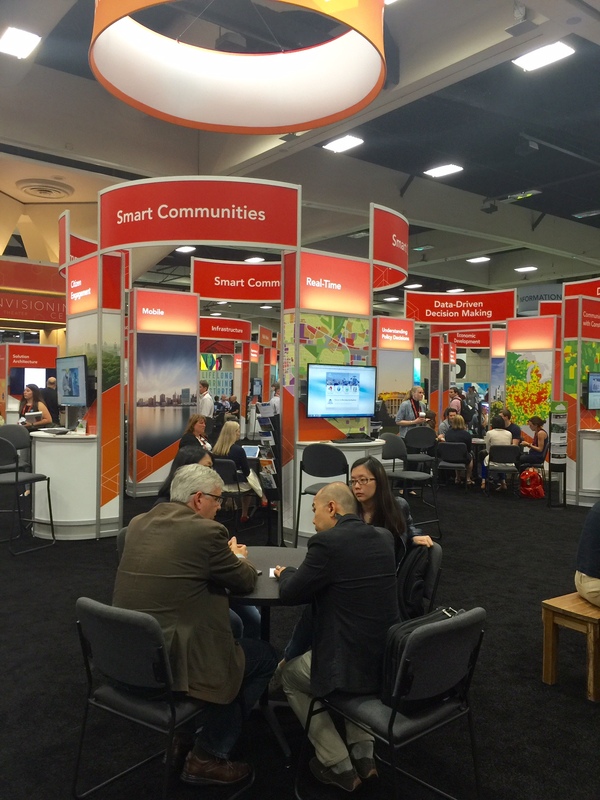 GIS professionals attending the Esri User Conference in San Diego this week shared how the smart communities movement is enabling them to engage with decision makers in new ways and demonstrate the power of GIS. “Smart communities is an initiative that is banding together everyone in government—and one that today’s savvy GIS professionals are leveraging to improve collaboration and increase GIS adoption within their organizations,” Thomas said. 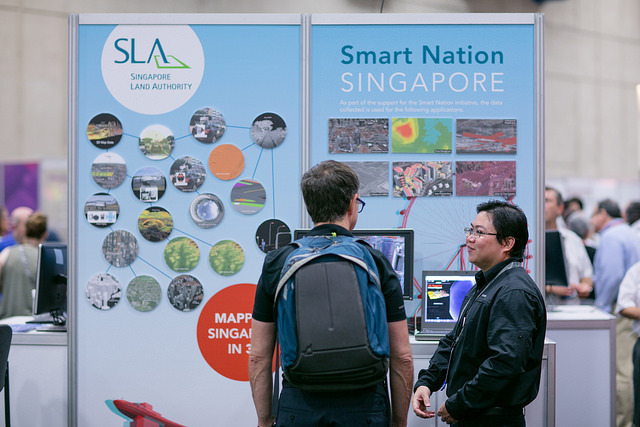 From technical demonstrations and paper presentations, to thought-leader discussions and the Smart Communities showcase, conference attendees explored innovative applications of ArcGIS for building smarter communities. In his presentation “Top Trends in Government,” Thomas stressed the need for today’s GIS professionals to understand current government trends—including transparency, data-driven decisions, public engagement, and sustainability—with current technology trends such as open data, mobile, real-time, storytelling, 3D, and geodesign. Understanding these trends and how they interact can help GIS professionals identify innovative solutions for the challenges that are top of mind with decision makers. Smart communities that employ the latest mobile strategies, for example, are transitioning from using mobile for asset management to using it for homeless outreach and human services. Conference attendees also got a first look at the new Esri Smart Communities website, with use cases about the City of Los Angeles, City of Charlotte, and Pinellas County. For more information about how Esri makes smart communities smarter, visit esri.com/smartcommunities.